Rye Pizza Crust. Easy Rye Pizza Crust. 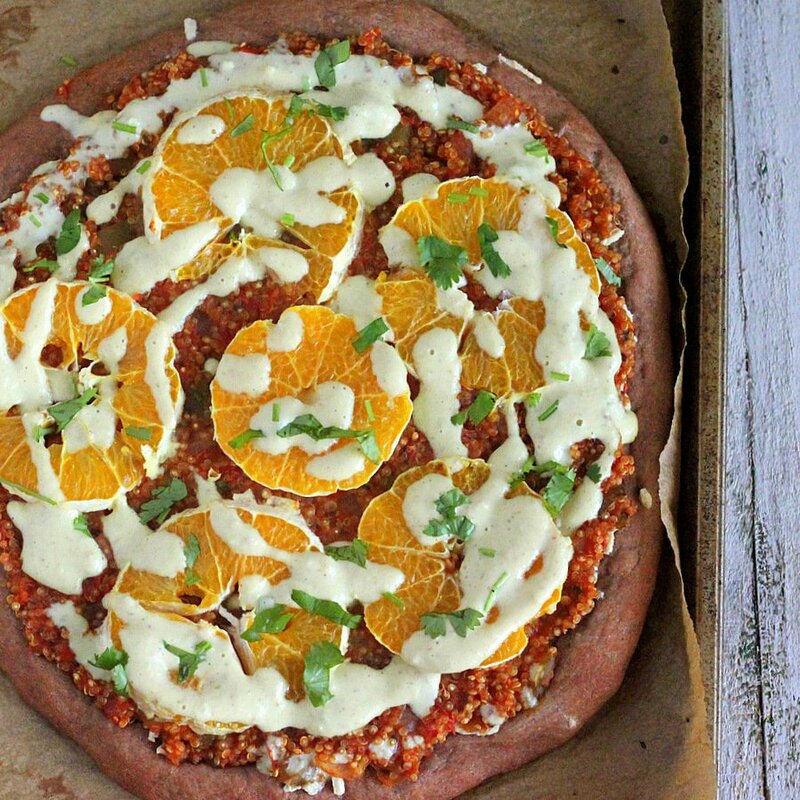 This crust is sturdy to hold the wet and sloppy quinoa. Top with other heavy sauces and toppings of choice. Pictured here with quinoa sloppy joes, juicy orange slices and jalapeno aioli. See Step pictures of the crust and this pizza on this post. 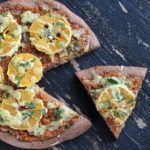 Easy Rye Wheat Pizza crust. Double the recipe for larger or 2 medium pizzas. In a bowl, add warm water, sugar, yeast and mix well. Let sit for 10 minutes until frothy. Add the flours, salt, cocoa powder, extra virgin olive oil and knead for a minute or mix with a large spoon to combine well into a dough. Spray water on the dough, Cover the bowl with a towel and let sit for 1.5 hours or doubled. Add 2 Tablespoons of bread flour to the dough, oil your hands and gather and knead for 2 minutes. Roll the dough out to a 10-12 inch crust. Keep thicker edges. Preheat the oven to 410 degrees F / 200ºc. Load with your favorite toppings. Bake for 14 to 15 minutes. Broil for a minute to brown if needed. Remove from the oven. Let it sit for a minute, then slice and serve.